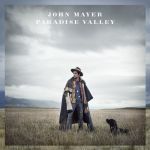 I like this new style of John Mayer - well I liked it on Born & Raised maybe now it's just gotten too extreme where a lot of his stuff is becoming boring. There are bits and pieces on here that I like, and nothing that I hated, but there's nothing that standouts. This would be a good relaxing album I think, but other than that, it's good but not great. A consistently pleasant and easy to listen to album, but it's almost more background music than anything else. Nothing really stands out in either direction.